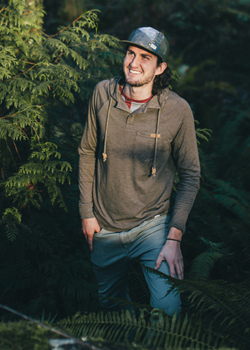 tentree clothing is available in both; Nanaimo and Campbell River locations for Men & Women. In order to ensure we continue to grow our tree planting and sustainability efforts, we have partnered with several not-for-profits across the globe, including the Canadian Wildlife Federation, WeForest, American Forests, Eden Reforestation, Trees for the Future, and more. These relationships have allowed tentree to develop an on-the-ground presence in the areas most in need. As tentree grows, so too does our impact. Every consumer that purchases a tentree branded piece of clothing is showing their dedication to the values our team shares: environmental stewardship, social responsibility, and the hope for a brighter future.